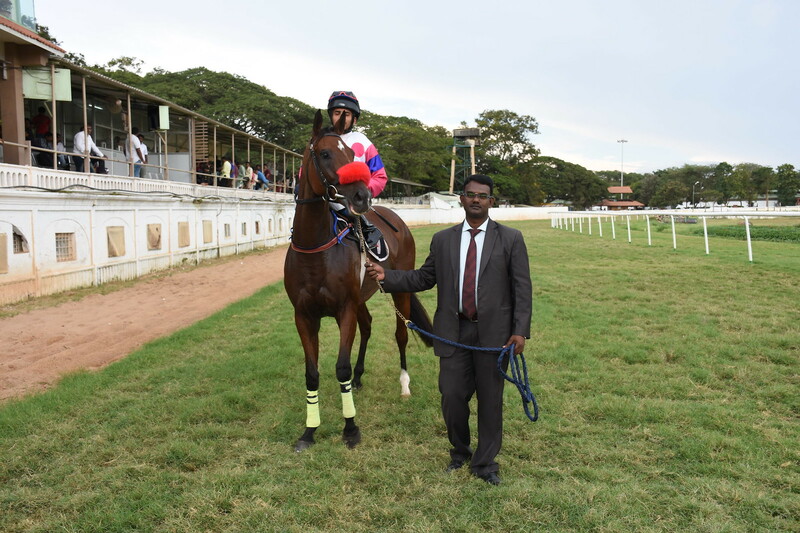 Michael Eshwer trained London escaped to victory in the Gr 3 Maharaja`s Cup, a terms race for four-year-olds and over, the feature event of Thursday`s Mysore races. Favourite Prevalent Force who was involved in a blanket finish could have been better served by a more enterprising ride by jockey Srinath. By the time he alerted the favourite and got into a full rhythm, London had what turned out to be the winning edge. Prevalent Force no doubt was vastly superior to the field both by achievement and as also by the terms of the race. 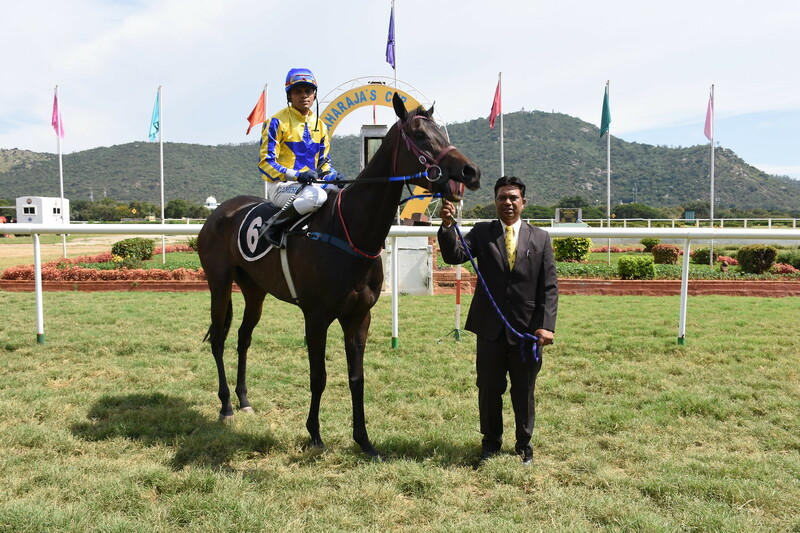 London who had struck winning form after a very long wait was taken on a start to finish mission by jockey Prashanth Dhebe. Since he committed his horse to take the hard way, he had to be at it all the time to ensure that he retained the lead. London battled on resolutely and held off a host of horses with Cavallo Veloce, Ultimate Warrior and Prevalent Force finishing in the order mentioned with a short neck, a short head and a head separating these four placed horses. Srinath on Prevalent Force sat in the mid-group till well into the straight and was perhaps not perturbed by the lead that the front-runners had established. He aggressively rode him in the final furlong and despite an all-out ride, the leeway lost proved to be of critical importance despite a valiant response form Prevalent Force. The Darius Byramji trainee has never been a model of consistency and has let down often when supported with conviction. 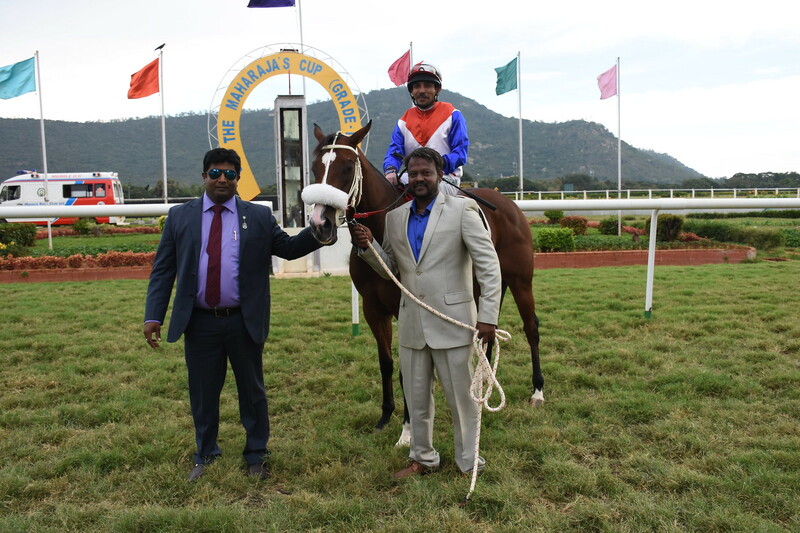 Rakesh trained Oceanic Storm appeared too good in the 1400 metres Udhagamandalam Trophy, a race for horses rated 40 to 65 going by the betting trend in the ring as also the horse`s racing form. The seven-year-old gelding ran true to expectations. Ocean Storm in the hands of jockey Umesh overhauled the front-running Scipio in the stretch and went away for an easy win by a widening margin of five lengths over El Tycoon. Color Proof held off Bonito to save place money. Another Rakesh trainee Savannah Sound was equally emphatic in her upset win in the 1600 metres Nagaland Plate, a race for horses rated 60 and above. Bangalore based Dr Logan was backed to the exclusion of the rest. 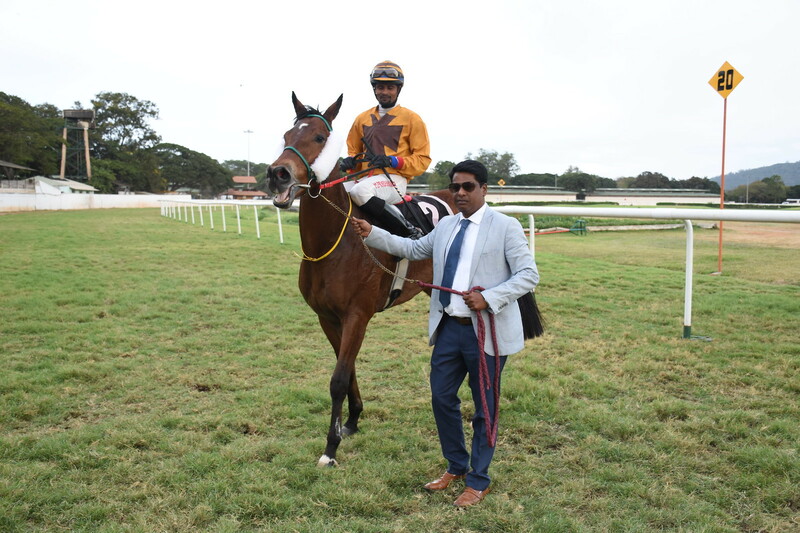 Apprentice jockey Chetan Gowda committed Savannah Sound to run freely in front and was not afraid to increase the tempo midway through the race. The eight-year-old mare had a big lead going into the final furlong and won pulling up from Dr Logan who had a hopeless task. Bonfire was third. 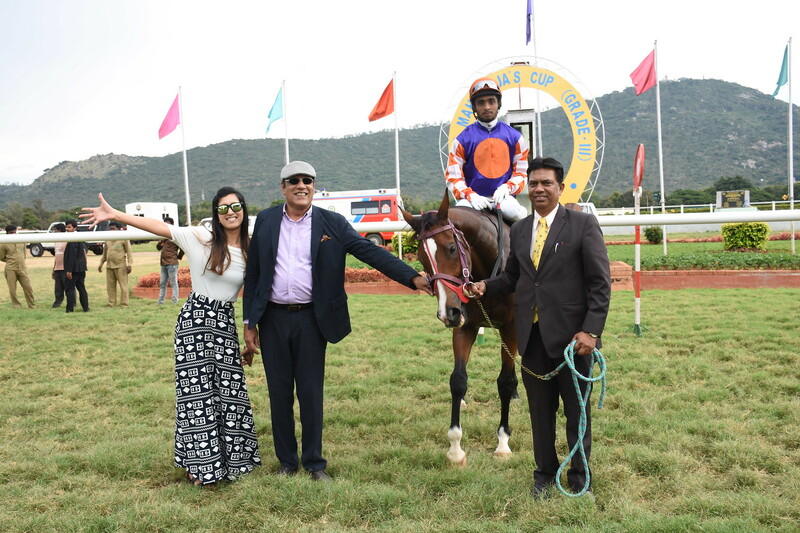 Rakesh had begun the day with a winner through Imitation Game who won the 1600 metres Haveri Plate, a race for horses rated 40 to 65, in emphatic fashion. Jockey Umesh had Imitation Game take charge with a furlong left in the race and the fancied runner then burst clear to with a measure of comfort from Perfecto and Momotaro who necked out favourite Anteros for the third place. Don`t Trust Anyone dislodged jockey Rajesh Kumar inside the final 100 metres. Trainer Bobby has been enjoying a good season and his fancied runners rarely fail to meet their targets. Contributor was one such horse who was backed with conviction in the 1200 metres Ranganathittu Plate, a race for horses rated 20 to 45. Prabhakar kept Contributor a handy third as stablemate Domitia went on a start to finish mission. Contributor got strong approaching the final furlong and skipped away to win with ease from Markus Sittikus. Domitia weakened to finish third. 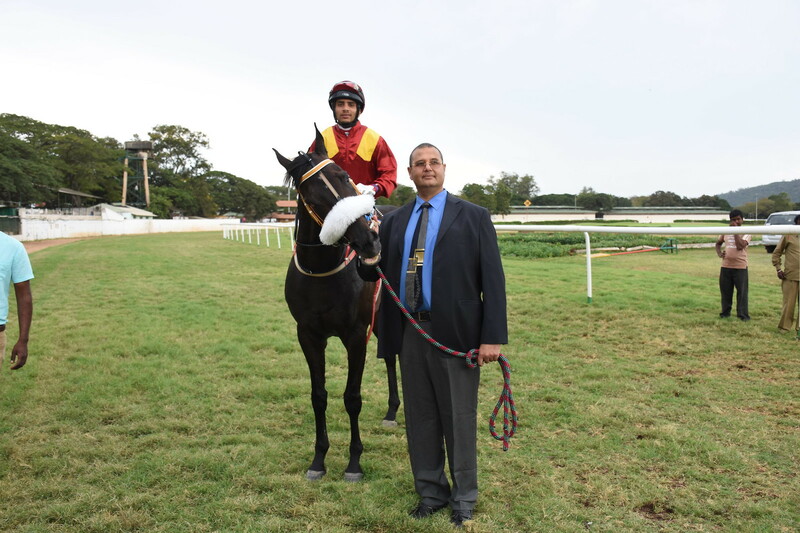 Srinivas Babu trained Dr Scully recorded an encore in tremendous fashion in the 1100 metres Shimsha Plate (Div I), a race for horses rated 0 to 25. Jockey Amyn Merchant took Dr Scully on a start to finish mission and the fancied runner expanded the lead to more than four lengths when crossing the winning post. Safe Bet who was strongly backed to win could do no better than edge past Silver Oak close home to get the runner-up berth. 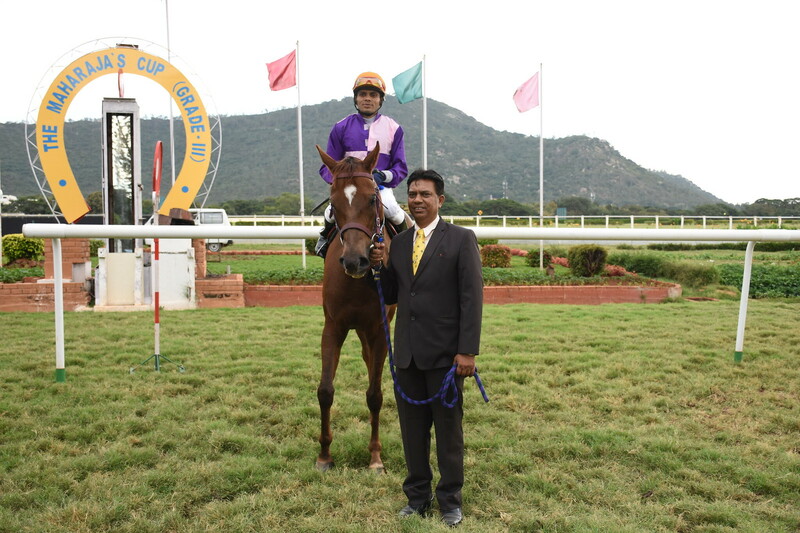 Sharavanan trained Jersey Bridge who hadn`t won for over 1000 days showed great resolution when trouncing the opposition in the lower division of the race by a widening margin of seven lengths in the hands of jockey Prashanth Dhebe. Vroom Vroom beat Velvet Rose to get the second position.